I'm Now a Person Who Really Cares About Diaper Design, I Guess??? A boxful of diaper drama. A couple months ago, I bought some Pampers diapers for my baby and opened the box to find the unthinkable inside: a highly pleasant design. Gone were the Sesame Street characters that had at every diaper change reminded me of the ever-advancing creep of commodified childhood. Instead, there was a range of pastel-colored little hand-drawn illustrations—a sun, a kitty cat, a friendly snail, some buttons, aww. Given the ugly primary-color imagery to which I am daily subjected against my will, I have to say with all honesty: these diapers made my eyes’ goddamn day. Well, today, I discovered that this new diaper design is riling up parents who are crazy and have bad taste and are ruining everything. I’m furious and horrified. Received a box of Pampers Swaddlers today that didn’t have the Sesame Street characters. ... I’m FURIOUS! I can’t believe anyone would counterfeit diapers! Has anyone run into this? On Reddit, parents were like: “No Sesame Street characters! Are these real Pampers?” And: “Bring back Elmo!” A poster on BabyCenter wrote wistfully, “It’s like the end of an era.” Another woman complained that her husband thought the new design was “girly.” She added, “The box also had the size circle in purple which [he] is convinced was some sort of sign we were buying girl ones.” (Lady, you need a new husband, not new diapers.) On YouTube—in a video with the hilariously outraged title, “Pampers cruisers new design? What? !”—a woman admirably attempted to review the designs while wrangling her babbling baby (“Feels the same … looks the same … smells the same … and just has a different design on them”). 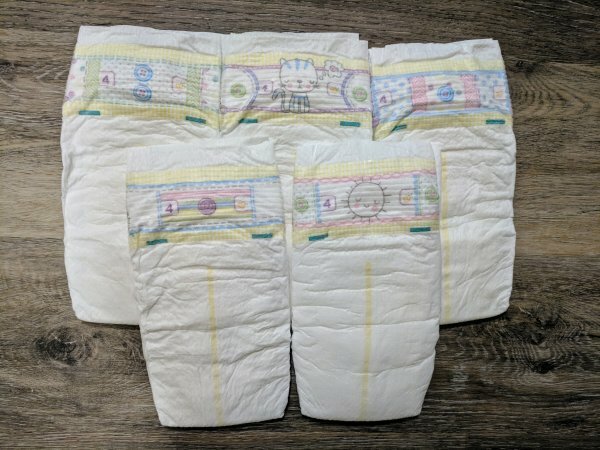 These diapers, with their pastel colors and unrecognizable little characters, are cute and pure AND IT IS SO REFRESHING I CANNOT EVEN BEGIN TO TELL YOU HOW IT MAKES MY HEART SWELL. Like my baby’s pee-soaked diap in the morning. But, really, what I must report is that, despite all appearances, these women are not crazy. Because if they’re crazy, then I must—well. 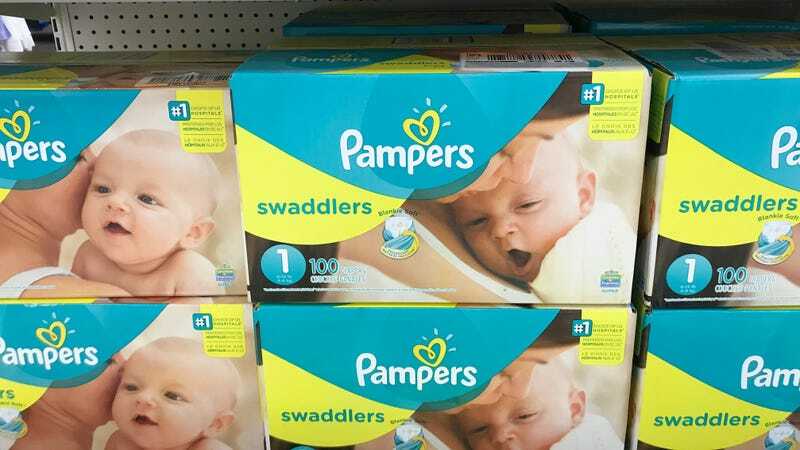 As I was reading their online protests, I was earnestly considering writing Pampers to let them know that I, for one, loved the new designs and don’t they dare take them away from me. I was “furious and horrified,” too. This is what parenthood does to you. Taking care of a small human is hard enough even without the onslaught of all-too-similar products that are unattractive at best and canny capitalist marketing schemes at worst. All it takes is an inoffensive and marginally original little hand-drawn ray of sunshine on your kid’s diaper and you’re thanking the capitalist gods for their mercy.